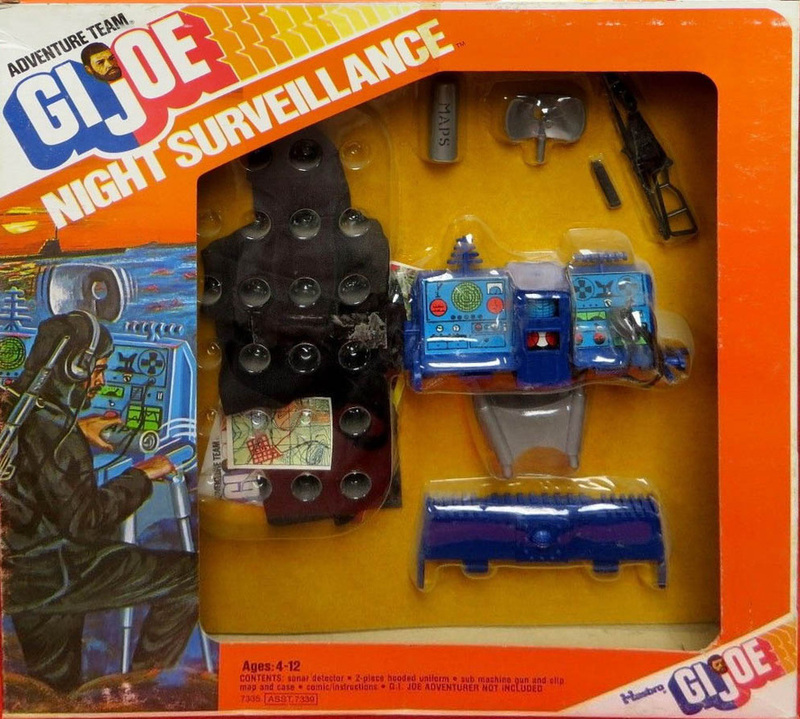 Another example of Late issue hasbro recycling, Night Surveillance (7338-2) uses the uniform and sten gun from Infiltration, and a blue version of what used to be the Equipment Tester when it was molded in yellow. In this set it is a high tech tool for communications and spying. Image of the tough to find boxed set courtesy of Joezeta. See his eBay Auctions here!